Click here for our 2019 Donation Agreement. 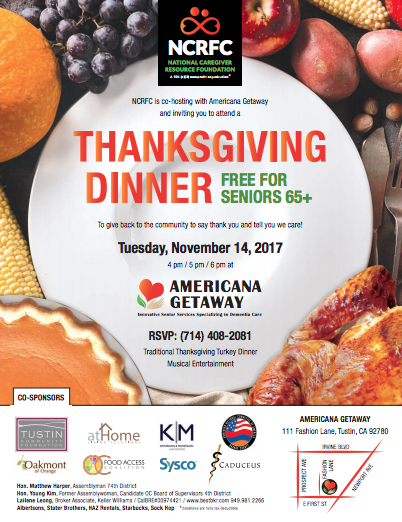 Present a Thanksgiving Breakfast that brings local citizens together to hear a message of hope and thanksgiving. Organize an annual Pancake Breakfast at the City’s Egg Hunt is offered to families for a nominal fee. 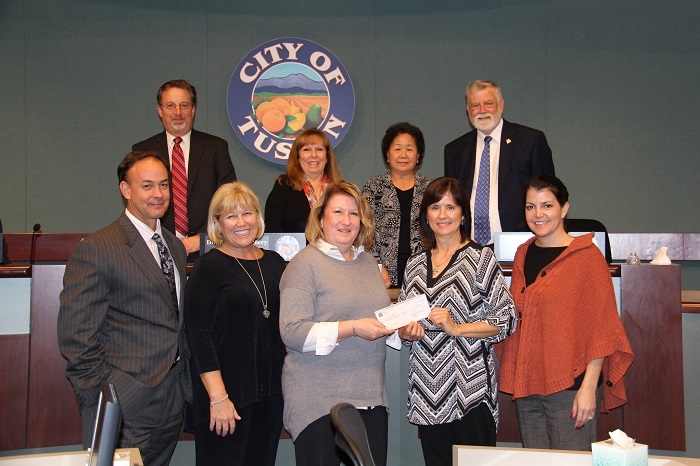 Support arts in our community through the Partners in Parks program to help raise funds for a permanent and enduring mosaic art wall in Tustin’s Citrus Ranch Park. You can make a contribution to support TCF’s ongoing work which supports non-profit organizations and public institutions that effectively address community needs. TCF is a 501(c)(3) charitable organization and your contributions are tax-deductible. Your credit card contributions to TCF are secure using Flipcause. 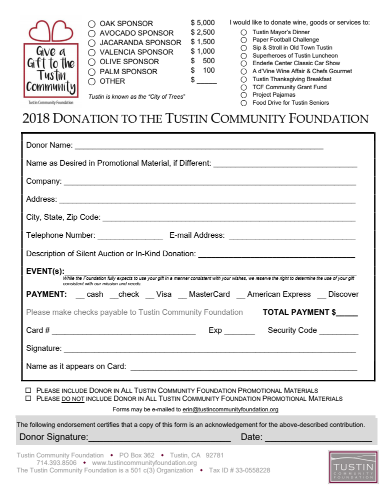 A donation to the Tustin Community Foundation is a wise investment. No donation is too small ! TCF is a local organization with deep roots in the community, governed by a dedicated volunteer Board of community leaders. TCF works to identify community issues and opportunities and act as a leader to address immediate and long term community issues and opportunities. All donations and sponsorships to TCF are tax deductible as allowed by law. TCF multiplies the impact of gift dollars by combining them with other gifts to determine the most effective uses of donated funds. TCF coordinates resources to create positive change in the greater Tustin area to support the area’s most pressing needs. As our funds grow, so will our ability to touch even more lives. We are hopeful that you will be able to help us meet a wide range of ever-changing community needs.